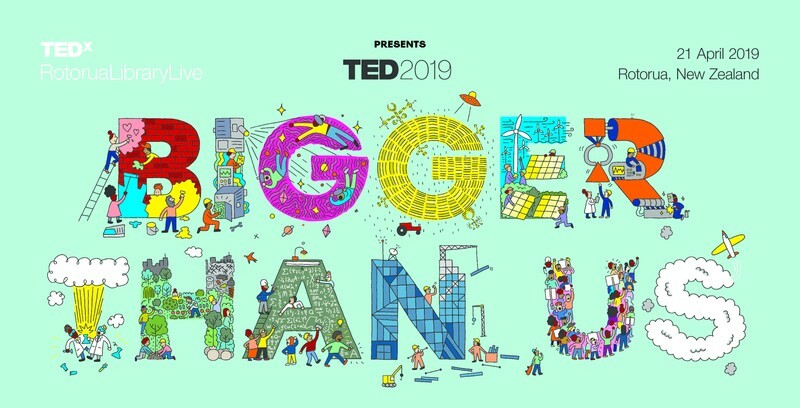 TED is a non-profit organisation devoted to spreading ideas, usually in the form of short, powerful talks. The first TED conference was in 1984 as a conference with a focus on Technology, Entertainment and Design. TED talks now cover many topics — from science to business to global issues — in more than 100 languages. Meanwhile, independently run TEDx events help share ideas in communities around the world. With TEDxRotoruaLibraryLive, we are excited to share the latest ideas from TED.com with the Rotorua community. Each year the TED.com conference is held in a different North American city with this year’s event being held in Vancouver from 15-19 April. A selection of the TED.com talks will then be shown our Community Pride Screen hot off the press on Sunday 21 April. ​Our exciting event is called TEDxRotoruaLibraryLive. A programme of talks will be available to us soon and we look forward to sharing a selection of the best with you.